Since Microsoft first came up with a utility to magnify the screen, it’s been promoted as an “Ease of Access” utility to help people with vision problems see the screen better, but now that they’ve enhanced it, almost anyone can get some benefit from this nifty little utility; but those that use laptops perhaps might find it most useful of all. The reason is due to the way a lot of people use laptops. 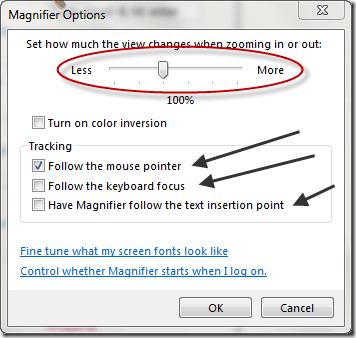 If you’re like a lot of other people, and use your laptop in bed when you’re lying back against your pillow, you likely find that the screen winds up a little farther away than you’d like, making it difficult to read small text; enter, Windows Magnifier program. 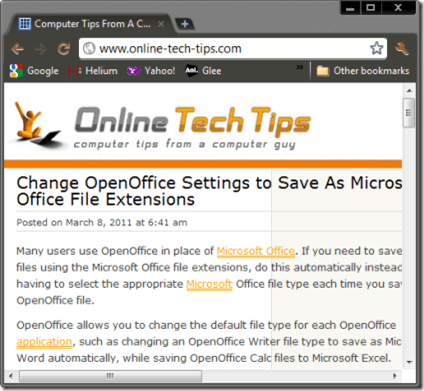 To run the program, either find it and run it from your Accessories folder, under Ease of Access, or more quickly, by typing in Magnifier in the Search box, then pressing the Enter Key. 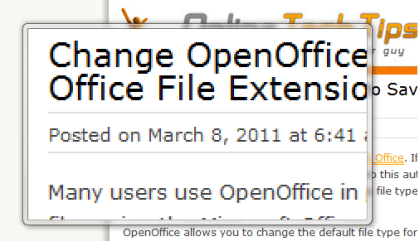 Magnifier, has three sections, the zoom-in and zoom-out buttons that are used to increase or decrease magnification (the + and – buttons); the Views menu, which allows you to change how Magnifier works when it magnifies, and finally, the Options icon, that allows you to adjust or change certain options that are now available with Magnifier. The zoom in and out buttons are fairly straightforward; to zoom in, click the “+” button, to zoom out, click the “-“ button. You should notice that the magnified area appears to move closer or farther away. 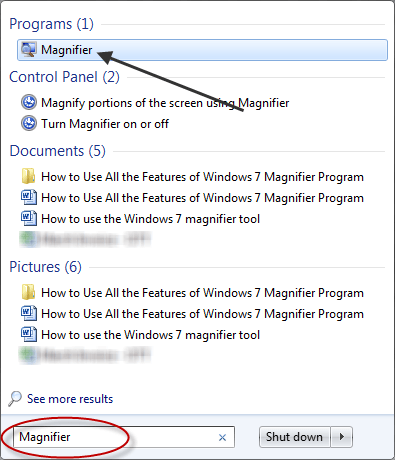 It’s not until you click on the Views menu that you’ll notice much difference between Windows 7 and previous versions of Magnifier; now instead of having just a predefined portion of your screen dedicated to showing you your magnified area, you have three options: Full screen, Lens and Docked. Full screen causes your entire screen to be magnified, though it won’t happen until you click on the big “+” icon. When you go off the edges with your cursor, the screen will move to keep up with you. You can move the magnifier around on the screen to hover over just the part you want to read; this is generally the most effective use of the magnifier tool due to it’s ease of use. In the above image, the top part of the screen is the viewing area, it’s showing a magnified version of the lower part. At the top, the scroll bar allows you to adjust how much the “+” and “-“ buttons zoom in and out. Under the scroll bar is a color inverter option that does just that, inverts the colors on the area that is being magnified, in case that might help make reading easier for you. 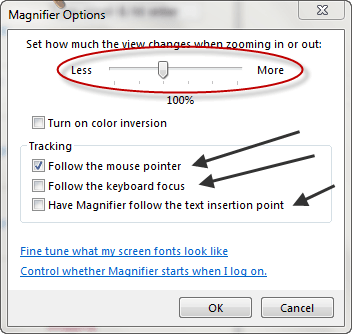 Under the color inverter option is a list of three check boxes: Follow the mouse pointer; Follow the keyboard focus and Have Magnifier follow the text insertion point. All three of these options allow you change the focus of control when items have been magnified. 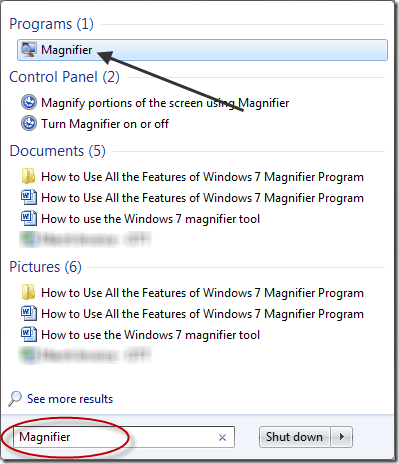 In short, the Magnifier utility program is no longer just for people with vision problems; because of its new increased flexibility, many more people will find it useful for their unique circumstances.